The South Eastern Alps, the location of the Upper Engadin valley, are majestic monuments thrust upwards millions of years ago by the meeting of continental plates. The best known peaks have generated numerous mountaineering stories - above all the Piz Bernina (4.049 m). Their unique combination of narrow ridges, lofty peaks and iridescent blue mountain lakes is quite staggering. 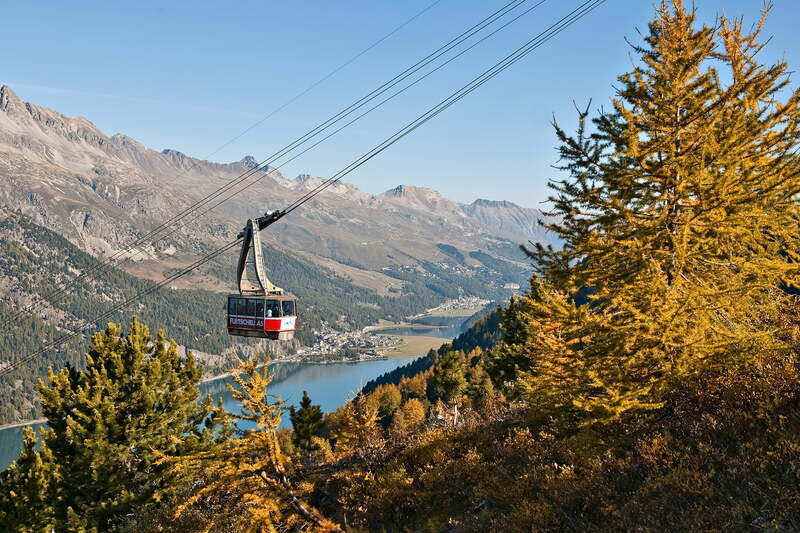 The massif around the Engadin mountain valley has an amazing number of highlights: icy glaciers, glimpses of the "Ballroom of the Alps" with its and three and four thousand metre high peaks or Engadin's lakes, a ribbon of silver pools stretching along the valley floor. Sailing through the sweet-smelling nature on huge scooters – a particularly fun way to get down the mountain. The ultimate view for romantics: sunset at the pinnacle of gourmet pleasure. This two-hour tour offers glorious views – plus a special treat for the youngsters. Staircase to seventh heaven: a simple climbing experience with breath-taking views. Up to the imposing silver fortress – the legendary Piz Palü offers a peak experience. Spend diversity and unforgettable hours on Corvatsch at 3303 m above sea level with a gift voucher. At the Furtschellas middle station, there are dwarf goats, rabbits and chickens eager to be stroked by gentle children's hands. The only difficult thing about this tour is resisting the temptation to keep stopping. Following the trail of the little storybook hero – a children's hiking path straight out of a picture book. Where the true high mountains start! Something for the heart... and for the feet.